Sept 22nd, 2010 - I decided to mix it up. Why confine myself to meeting strangers on the street when I have the internet at my disposal. Enter Ashraf. Ashraf contacted me via Couchsurfing to say hello. Seeing as I am always interested in gaining local perspective I suggested we meet up. As I waited in front of the theater on Habib Bourgiba Street I had two more random encounters. While I was enjoying some of the Tunis' youth engaging in a break dancing sideshow a young gentleman approached and inquired as to whether or not I was awaiting a performance at the theater. I answered in the negative and told him I was waiting for a friend. He seemed to want to know exactly when my friend would be arriving. I said he was on his way. A strange conversation about Facebook ensued whereby my new friend wanted to know if in my 'Profile' section I indicate that I am interested in meeting men, women, or both. Riiiight. I am not really sure if this was a covert way of asking me what team(s) I play for or what the hell was going on. Could the area in front of the theater be a sub rosa cruising range? Dunno. When I replied that my profile indicates 'women' he seemed to be a bit disappointed and departed. The gentleman standing to my left then asked me if I liked watching the break dancing, to which I responded in the affirmative. He mentioned something about having a marketing job and then submitted his resume for approval….to me. Wasn't really sure what to do with that. Luckily, Ashraf showed up just in time to save me from having to give some sort of critique or interview. Obviously, unemployment is a big problem in Tunisia. Ashraf is a 21-year-old Tunisian bloke that loves meeting foreigners and practicing English. He even likes spending time with Americans (no accounting for taste I suppose). Ashraf teaches Arabic to folks from around the globe that come to Tunisia to learn it and enjoys introducing visitors to his country. He was kind enough to show me around and introduce me to some of his friends. Our café discussions broached a variety of topics, not the least of which was the events of 9/11 and the Arab world's perception of the United States. The truth is I should probably avoid these types of conversations with fresh acquaintances but my curiosity is sometimes overwhelming (remember what happened to that kitty cat?) and as he seemed amenable to the storyline I pressed forward. It was very interesting to listen to his perspective. The fact is there are many in the Arab world that do not believe that 9/11 was perpetrated by Muslims and many, like Ashaf for example, doubt the involvement of Osama bin Laden himself. So who was involved and why? Well, there seems to be some consensus about the idea that the conspiracy involved the American Jewish community who, according to many, are pulling the strings on American foreign policy. Ashraf's belief in this theory was bolstered somewhat by an American friend that confirmed that Jews exert enormous influence, like in Hollywood for example. And then of course there are all the Jews that mysteriously did not show up for work in downtown Manhattan on 9/11. Clearly they were all in it. In on what? In on the American government conspiracy to wage war on Iraq, Afghanistan, and Islam of course. Ashraf even asked me if it is not true that bin Laden and George Bush were good friends. Uh-huh. And our motivation for war, especially in Iraq? Oil. America wants oil and invading Iraq was our way to get it. I made no attempt to defend America's actions. My only goal was to get him to consider the likelihood of these conclusions. How would America waging a war on Islam assist the Jewish cause? Seriously, what exactly is the end game, that we completely wipe out Muslims and any trace of Islam off the face of the earth? George W. Bush and his gang of misguided hawks might be out of touch with reality but I can hardly buy into the idea they are the very essence of evil. Might as well blame them for Pearl Harbor, the Kennedy assassination, and the faked moon landing while we're at it. And what of the explosion that brought down the towers? I attempted to explain that scientifically, as a result of super heating of the building's steel infrastructure, what happened is not outlandish from a physics perspective. I did explain to him that there is a connection between the powerful bin Laden family in Saudi Arabia and the first Bush president but pointed out that the family is enormous and does not by itself indicate that George W. and Binny (Osama) were golfing partners. And as far as oil goes it is quite feasible that oil was a factor but it is difficult to fathom that it would be one of the primary motivations for the invasion. However, it is not outside the realm of possibility. My bottom line was this: The idea that America (as in certain elements in the government) conspired, with Jews, to destroy the World Trade Center thereby providing a justification for an invasion of Iraq and Afghanistan is a bit far-fetched even for the 'Evil Empire'. But, as I always say, who the hell am I, really? I should point out that although about 98% of the population of Tunisia is Sunni Muslim the government and its people are extremely tolerant of other religions. The island of Jerba on the southern coast of Tunisia is one of the oldest sites of Jewish settlement in the world and is a place of pilgrimage for Jews everywhere. Ashraf for his part professes no ill will towards Jews in general and told me that he has friends that are Jewish. Ashraf also brought up the execution of Saddam Hussein which, as you might expect, is viewed as a direct result of US decision-making (In many ways I suppose it is at least a proximate cause). In other words America executed Saddam. And not only that it chose to do so on one of Sunni Islam's most sacred holidays, Eid ul-Adha. I tried to explain that although those in the upper echelon of the US military were unlikely to have shed tears over Saddam's death the truth is the Shiite population in Iraq hated Mr. Hussein with fiery passion of a cosmic hypernova. In fact Saddam was convicted by an Iraqi Special Tribunal for the murder of 140 Iraqi Shiites in the town of Dujail in 1982. Apparently, Saddam did not take too kindly to an alleged assassination attempt by Shiite assailants. Was America complicit? Sure. Did the US military hand him over knowing full well what would happen? Absolutely, but the Shiite-led government was most likely looking for revenge and had no qualms about scheduling the execution on an important Sunni holy day as an additional 'F#$k You!' to the Sunni minority that ruled Iraq for so many years. 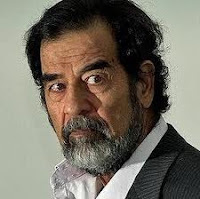 The point of all this is to illustrate that there was a lot of sympathy for Saddam in the Sunni Muslim world and his death was/is believed to have been carried out by the USA. I enjoy these conversations because it provides a glimpse of how the US is perceived in the world, especially the Arab world. Ashraf for his part was extremely cordial and cautious about offending me. He asked several times whether or not I was upset by what he said. I assured him I was not and told him I was thankful that we could talk so frankly. I also said that my goal was not really to convince him of anything, only to encourage him to consider alternative points of view.